With just over a hundred days to go (not that we’re counting, of course) until Slam Dunk 2019, the excitement is really starting to set in – and the good news for fans of the heavier stuff is that the festival have today announced the Jagermeister Stage line-up, as well as a new addition to the stage. 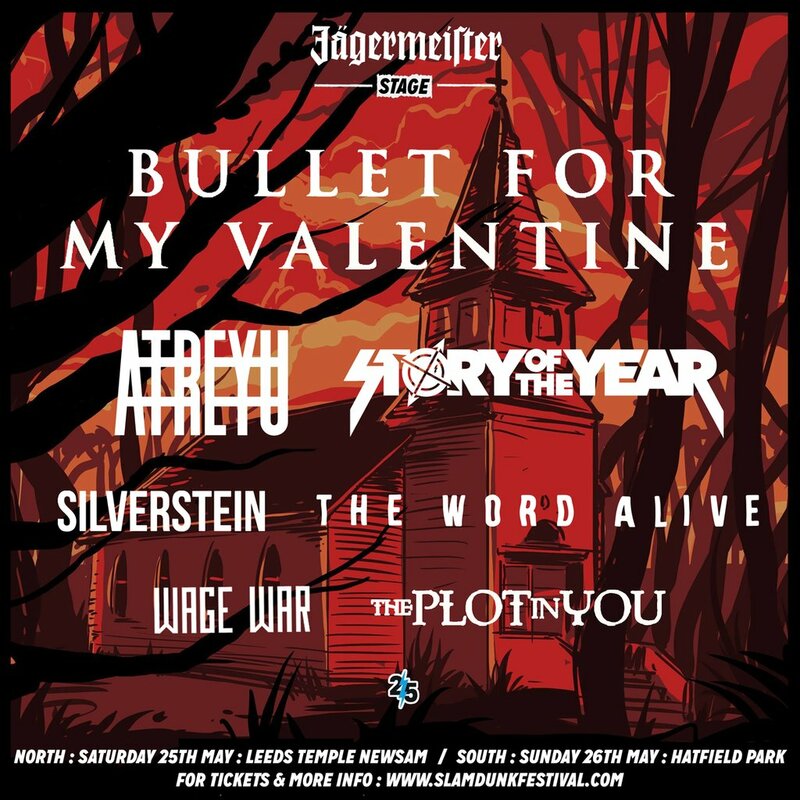 US band The Plot In You will be joining the already announced Bullet For My Valentine, Atreyu, Story Of The Year, Silverstein, The Word Alive and Wage War. Slam Dunk have also confirmed that set times for this stage will sit between those on the Impericon stage – so no need to worry about clashes!